In the age of social media, it can be difficult to keep up with all the different platforms and initiatives. Pinterest is one of the less utilized and fastest growing social media platforms on the internet, and according to Geek Estate, it is rapidly becoming a valuable way for real estate agents to drive web traffic. 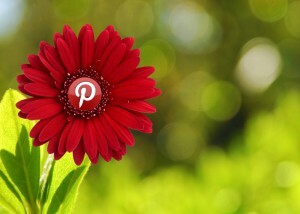 Pinterest is all about creating virtual pin boards about things you’re interested in. These may include craft projects, recipes, home organization tips, new cleaning products or even your future dream home. Because you can see what other people have “pinned”, and they can see what sparks your interest too, the amount of exposure a certain item can get simply by being added to someone’s Pinterest board can quickly intensify into stardom status. As a real estate agent, Pinterest can be used in many different ways. A good place to start is by pinning the homes you’re selling or homes your clients have recently bought from you. If you pin photos of amazing looking homes (think wow factor and eye-candy here), the circulation of those photos increases the chance of a potential buyer clicking onto your website to see more. Another idea from Geek Estate is to pin pictures of happy buyers posing in front of homes you’ve sold, perhaps with a testimonial of their experience tacked on for good measure. Just be sure the photos you pin reside on your domain, like in a blog post on your site, otherwise you’ll miss out on the opportunity to drive traffic back to your website. Another plan of attack is to pin information regarding the communities and towns you represent. If you show perspective buyers how fun and exciting the community is in real time, they are more likely to find themselves imagining how happy they could be there. Do your best to appeal to a wide range of clients by pinning information about the top restaurants, parks, schools, beaches, shopping centers, nearby attractions and anything else you can think of. It’s also a great opportunity to show people how much you know about the area.